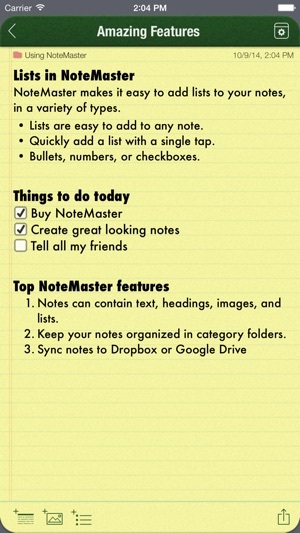 I tried a few notes app - Evernote, notability, google keep, and no one can be comparable to master note. Sorry that other people didn't noticed . The best design ever. 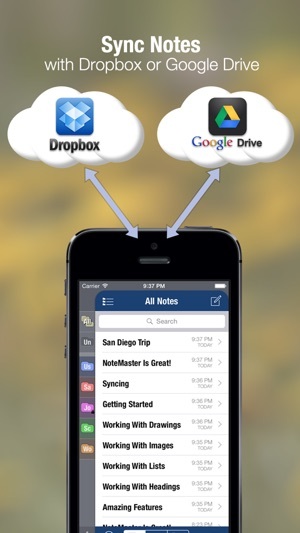 Most note apps has white pages now for notes what is not convenience to read or even note. 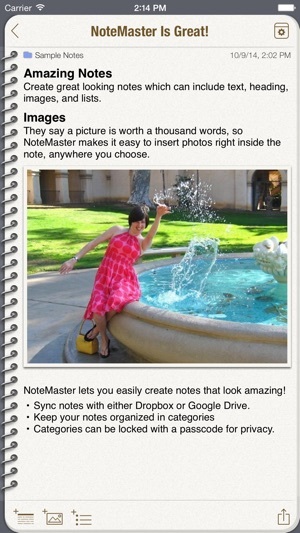 Smart person who made master note app - allow to change colors for pages. Beside of that very well and understandable organized folders. Plus lock for folders. This is the 1st review I’ve ever written for anything. I have been using this app for many years & love it. 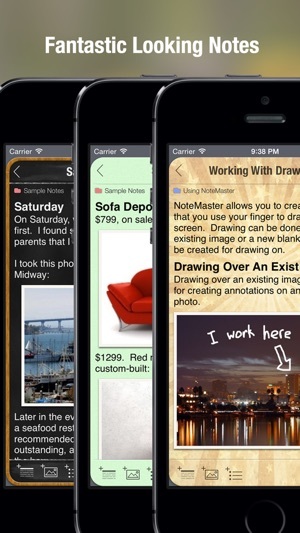 I especially like that not only can you add pictures to notes, but you can also resize them. So if you have a lot of pics in a note you can keep them really small to keep the note shorter. Then you can enlarge as needed. The support for this app is outstanding. I messed up the app by trying something I shouldn’t have and with extraordinary patience & understanding, they got me back to running smoothly. I highly recommend it. 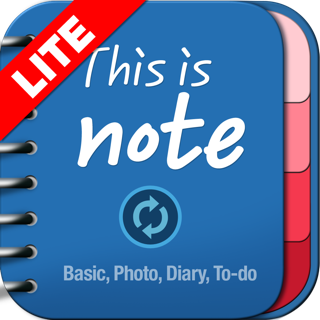 I have been using this app for many years & now am using it on a iPhone 8+ as one of my favorite writing apps. As advertised. Would still like highlighting & formatting selected text only (instead of changing all text). Can use "open in" to open as a .docx file in another App for more advanced formatting, if needed, but I still need an option to save as a Pdf file as well and/or ”Open in” all other applicable apps (Shares only to email). Would like audio in the text. © 2017 Kabuki Vision, LLC. All rights reserved.